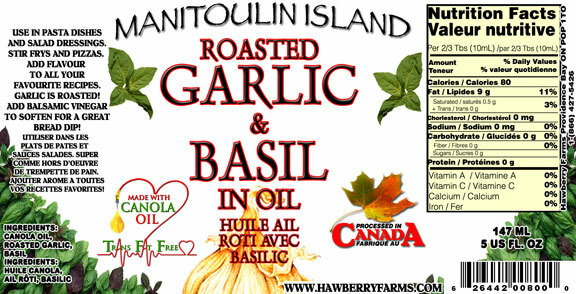 Click the button below to add the Roasted Garlic and Basil to your wish list. Use in pasta dishes and salad dressings. Stir-frys and pizzas. Add flavour to all your favourite recipes. Add balsamic vinegar to soften for a great bread dip! Ingredients: canola oil, roasted garlic, basil. I used a little of this product for cooking up some pickerel. The taste was superb. I love this on my pasta instead of sauce.